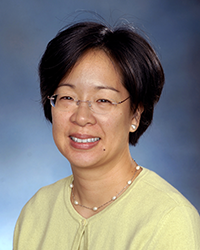 Personnel Dr. Maria Eng, Principal, is a behavioral epidemiologist and public health researcher with extensive field experience conducting large-scale HIV/AIDS program planning, implementation, and evaluation. She has designed and conducted theory-based research, using both qualitative and quantitative methods. She has worked in the United States and sub-Saharan Africa, particularly among injection drug users, vulnerable children, and Muslim women. Dr. Eng earned her DrPH degree in International Health and her MPH degree from the Johns Hopkins University Bloomberg School of Public Health. Dr. Eng holds active adjunct academic appointments at the Johns Hopkins Bloomberg School of Public Health and at the University of Maryland School of Pharmacy, both located in Baltimore, Maryland. Prior to her public health career, Dr. Eng was a practicing clinical pharmacist at the Johns Hopkins Hospital for 10 years after earning her BS degree in Pharmacy from Rutgers University. Contact Us Applied Science for Health is based in Hunt Valley, Maryland, USA. For more information, please contact by email at . Copyright 2016 Applied Science for Health, LLC. All rights reserved.